I made the cards with a couple of challenges in mind, CAS-ology, which is New, so I used a new stamp I have from Amy Tangerine, and the Keep it Simple challenge, which is Wood, so I used some Studio Calico wooden hearts on both cards. I love to think of people in the world who are hot, when we are trudging through snow! lol!This is a really fun card - good use of all the elements and I love that ribbony sentiment. Thanks so much for playing along with us at CASology this week, Tracy! Tracy this is a cute card, love the wood elements and the photo is great. I wish I was there with you as it is very cold in Toronto this week. Thank you so much for sharing with us this week at CASology! Awwwww! Such a sweet little card! Love those people and the grid behind them. Thanks for playing along with CAsology this week! 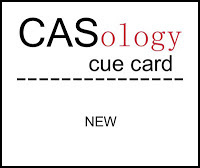 What a perfect CAS card! I love your stamps, especially the font on your sentiment!!! Thanks for playing along at CASology! Love the grid pattern and the graphic simple style! sweet card! what a beautiful and simple card! I love the senitment and the wooden heart is such a cute detail! thanks for playing along at keep it simple! 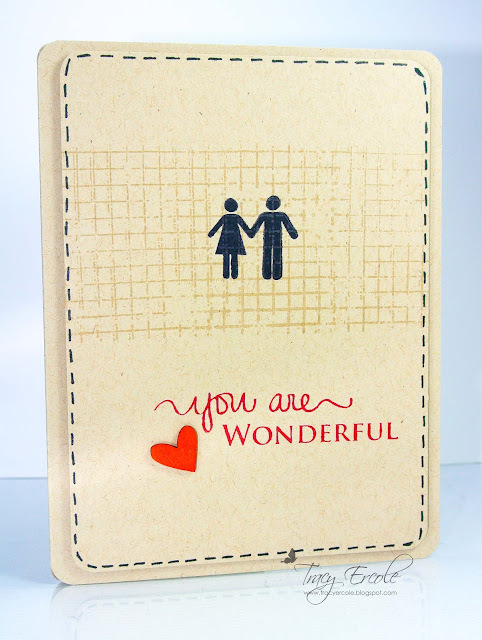 I love the design of your card, the color combo is great and the sentiment with the heart just POPS!